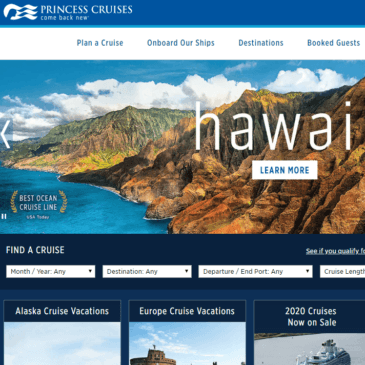 Providing cruises everywhere from Cuba to Alaska, CruiseDeals is a cruise comparison website that allows users to find and book great deals across a range of different cruise lines, including Disney, Royal Caribbean, Carnival, Princess and Norwegian. 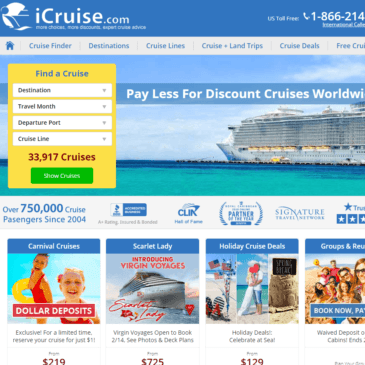 Powered by CruCon Cruise Outlet, getting a quote is simple and free, and their discounts can help save hundreds when searching for a trip on the sea. 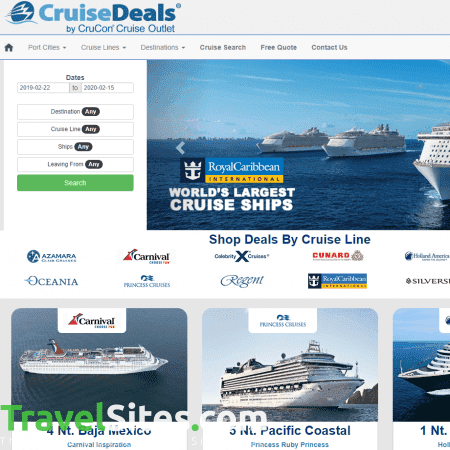 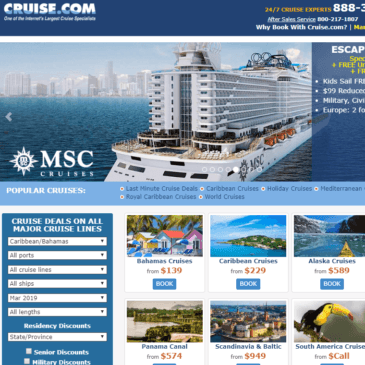 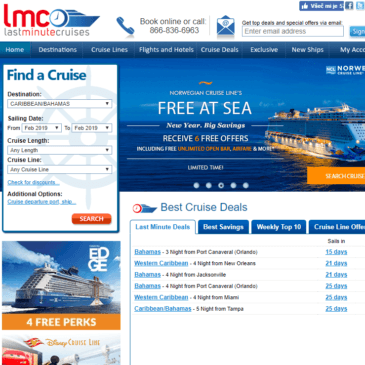 The CruiseDeals website is very basic, if not fairly outdated, in comparison to other cruise finder sites. 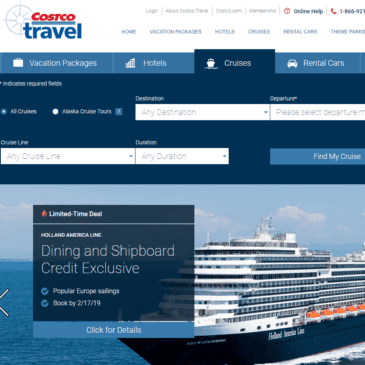 Like the rest, they give the option to enter information such as travel dates, destination, and departure port, which present a whole host of results. 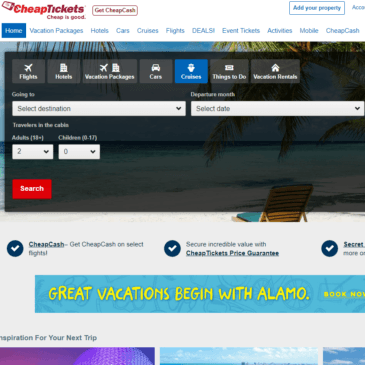 However, there is no option to add filters in order to narrow down the choice, nor can you sort the results by categories like price. 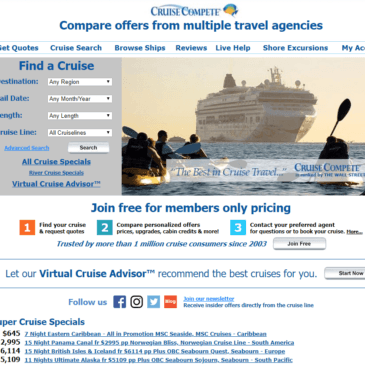 Due to the fact that the results are not ordered in any particular way, I find the lack of filters and sort by options to be a major hindrance in searching for a cruise, particularly as I usually prefer to start with the cheapest option first and work my way down. 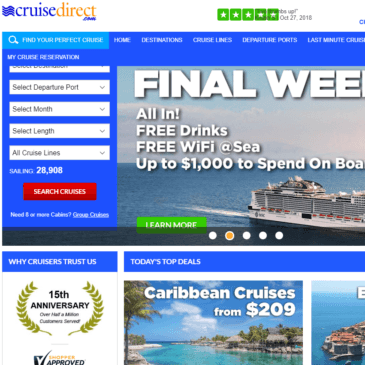 When using the CruiseDeals site I also noticed that on every page there is an irritating advertisement banner at the top of the screen, with a countdown clock of their promotional offer. 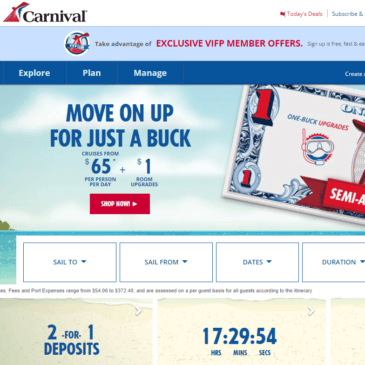 Apart from being distracting, there is no option to cancel it, meaning on every page you click on you are forced to watch the clock slowly counting down. 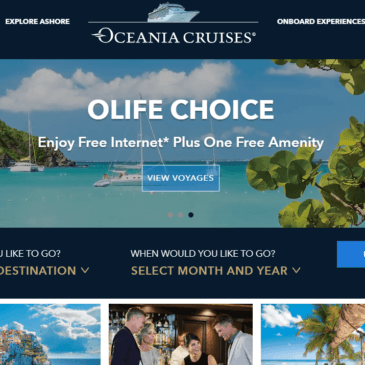 While the promotional offer was for money off on board the ship, I thought it would have been better to have a rewards scheme for loyal customers, which they did not have. 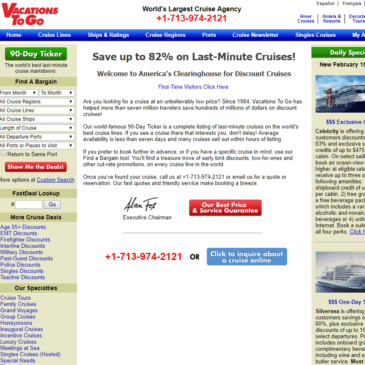 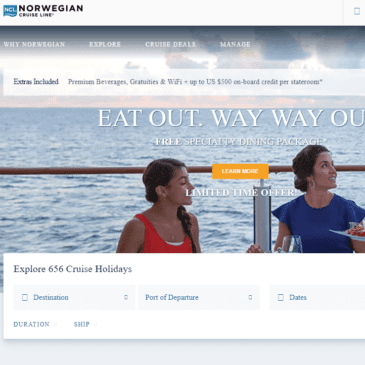 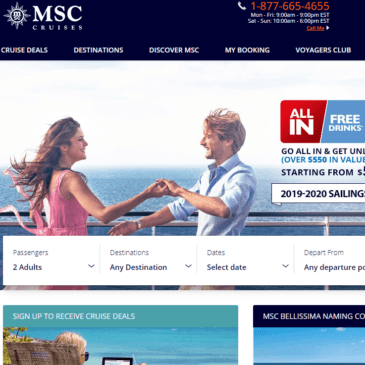 The only redeeming feature of the website was the last minute deals section, listing all the discounted rates of cabins in various destinations. 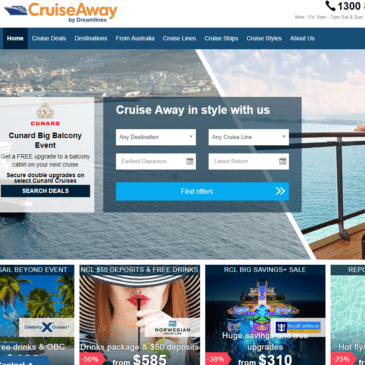 Next to each cruise, they give an indication of the brochure rate, alongside the CruiseDeals rate, as well as how much the customer will be saving by making the booking.